The United States Department of Agriculture (USDA) has launched a new toolkit to help support the deployment of high-speed broadband e-Connectivity in rural communities. The e-Connectivity Toolkit features 27 USDA programs that support broadband deployment. The easy-to-use resource is a simple guide that allows customers to identify their type of e-Connectivity project and locate resources the federal government offers for planning, equipment, construction, research and other e-Connectivity projects. Resources such as grants, loans and technical assistance are available from multiple Mission Areas at USDA, including Rural Development, National Institute of Food and Agriculture, Farm Service Agency, Natural Resources Conservation Service and Forest Service. The toolkit highlights examples of how e-Connectivity resources are being used to increase access to broadband services in rural communities. It is free and available to the public online and can be easily printed for offline use. USDA’s launch of the e-Connectivity Toolkit closely follows U.S. Secretary of Agriculture Sonny Perdue’s unveiling of the ReConnect Program, a pilot program authorized by the Consolidated Budget Act of 2018, to facilitate broadband deployment in rural areas that lack sufficient access to broadband. In April 2017, President Donald J. Trump established the Interagency Task Force on Agriculture and Rural Prosperity to identify legislative, regulatory and policy changes that could promote agriculture and prosperity in rural communities. In January 2018, Perdue presented the task force’s findings to Trump. These findings included 31 recommendations to align the federal government with state, local and tribal governments to take advantage of opportunities that exist in rural America. Increasing investments in rural infrastructure is a key recommendation of the task force. 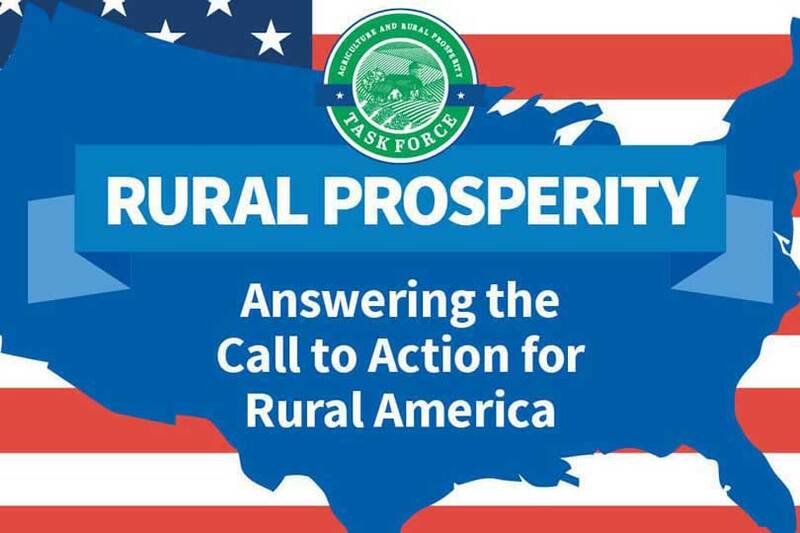 Click to view the Report to the President of the United States from the Task Force on Agriculture and Rural Prosperity. For more information, visit www.rd.usda.gov.